Chelsea's on-loan winger Mohamed Salah, who had spent the second half of last season playing on loan for the Viola, silenced the crowd at the Artemio Franchi stadium by scoring Roma's opener in the sixth minute. 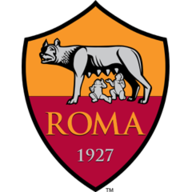 Gervinho doubled the visitors' lead in the 34th minute and, three minutes from time, Roma had Salah sent off for a second yellow card and Fiorentina reduced the arrears with seconds remaining through substitute Khouma Babacar. The win lifted Roma two points clear of Fiorentina, who are second and level on 18 points with Inter Milan and Lazio. Fiorentina went into the encounter looking to get back to winning ways after having their five-match winning run in Italy come to an end last weekend in a 2-1 defeat at Napoli. The Viola then fell 2-1 at home to Lech Poznan in Thursday's Europa League game. Roma, still searching for their first win in the Champions League after a 4-4 draw at Bayer Leverkusen on Wednesday, went ahead early on. Miralem Pjanic fed Salah in the box and the Egyptian forward hit a left-footed attempt towards the far post to beat Fiorentina goalkeeper Ciprian Tatarusanu. The goal was Salah's fifth in Serie A since joining Roma on a season-long loan from Chelsea this summer. Roma doubled their lead in the 34th minute when a fast counter-attack saw Alessandro Florenzi send Gervinho through on goal and the Ivory Coast forward struck a right-footed shot towards the far post and out of Tatarusanu's reach. Fiorentina could not break Roma's well-placed defence before the break and were limited to long-range attempts. Before the interval, Fiorentina's Matias Vecino's stinging drive from 25 yards was saved by Szczesny. With the hosts struggling to put a good move together after the interval, Roma nearly scored a third goal in the 56th minute. Fiorentina midfielder Federico Bernardeschi was forced to make a goal-line clearance from Pjanic's strike after Tatarusanu had previously kept out Gervinho's close-range attempt. The Viola made a double substitution on the hour with Matias Fernandez and Giuseppe Rossi coming on in place of Milan Badelj and Jakub Blaszczykowski. In the 68th minute, Bernardeschi warmed the hands of Szczesny with a bullet strike from 14 yards that was kept out by the Roma keeper. 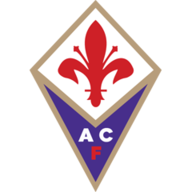 Fiorentina continued to press forward and should have reduced the arrears in the 83rd minute. Josip Ilicic sent Kalinic through on goal and the Croatian forward struck the ball over the bar with only Szczesny left to beat. Shortly after, Salah was handed his marching orders for dissent and the Viola took advantage of their numerical superiority. Borja Valero fed Babacar in the box and his right-footed shot beat Szczesny but Roma celebrated going to the Serie A summit after the final whistle.